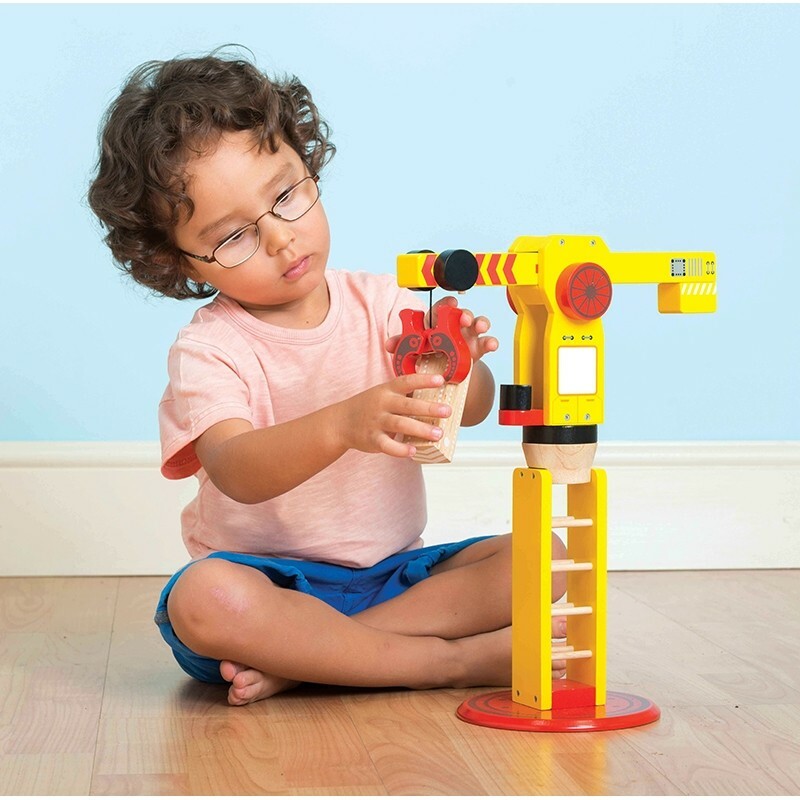 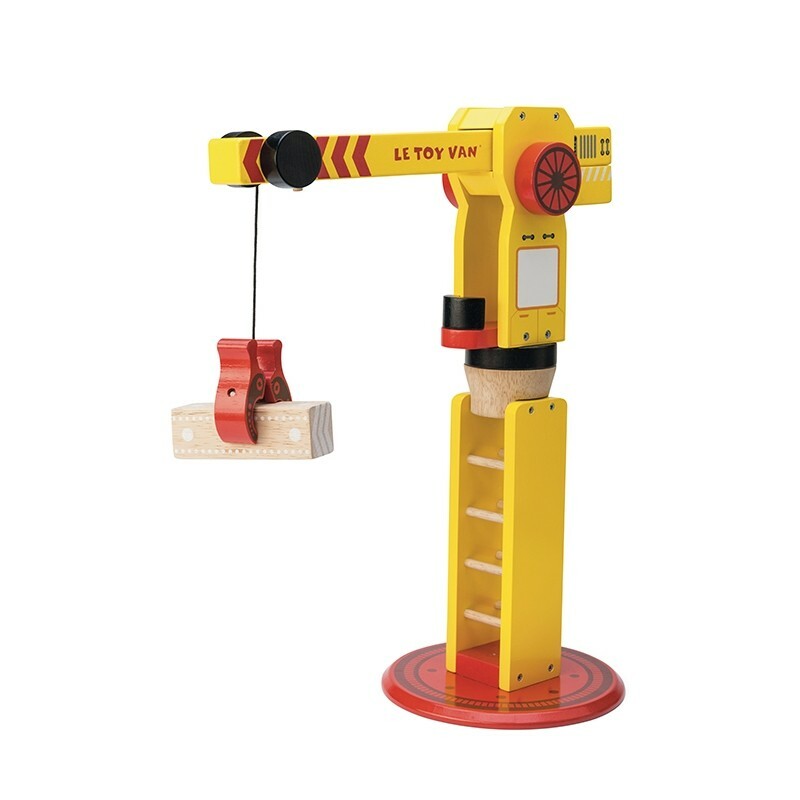 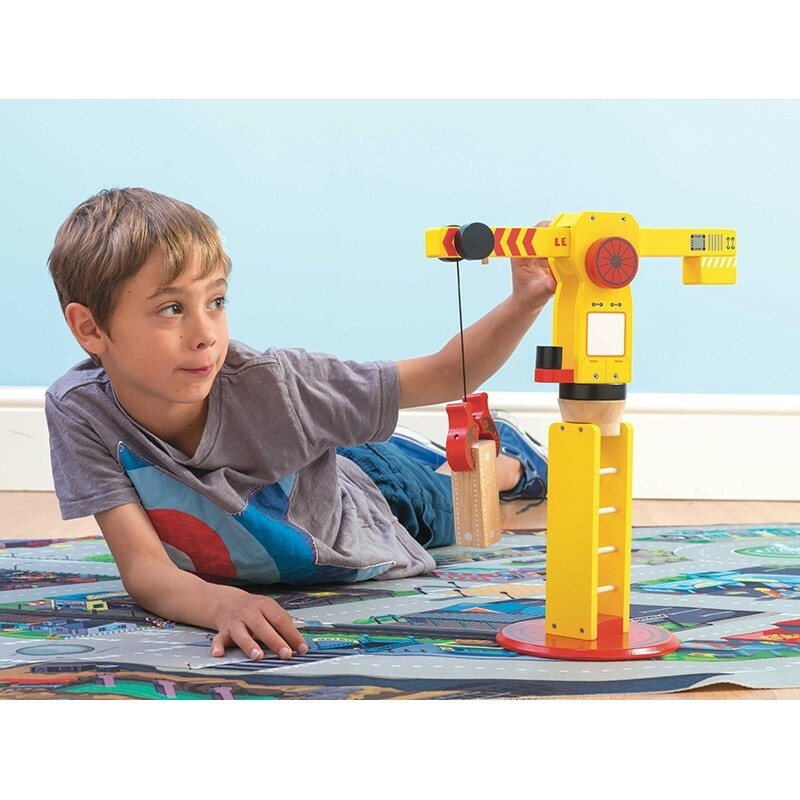 A solid wooden crane, complete with a wooden block to emulate lifting loads. 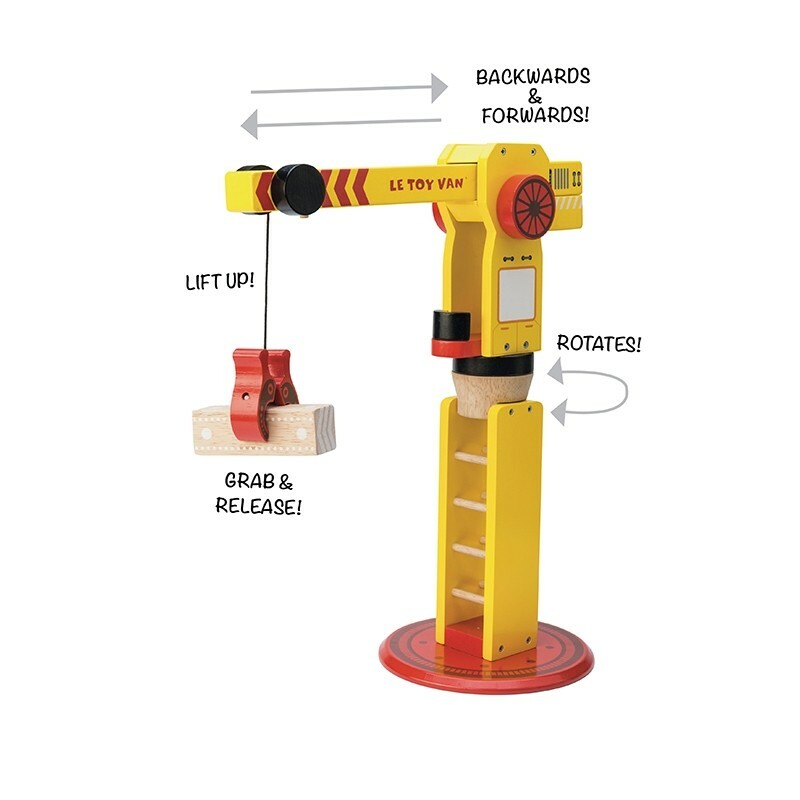 The working crane can swivel around and move the lifted load forwards and backwards with its 3 steering mechanisms. 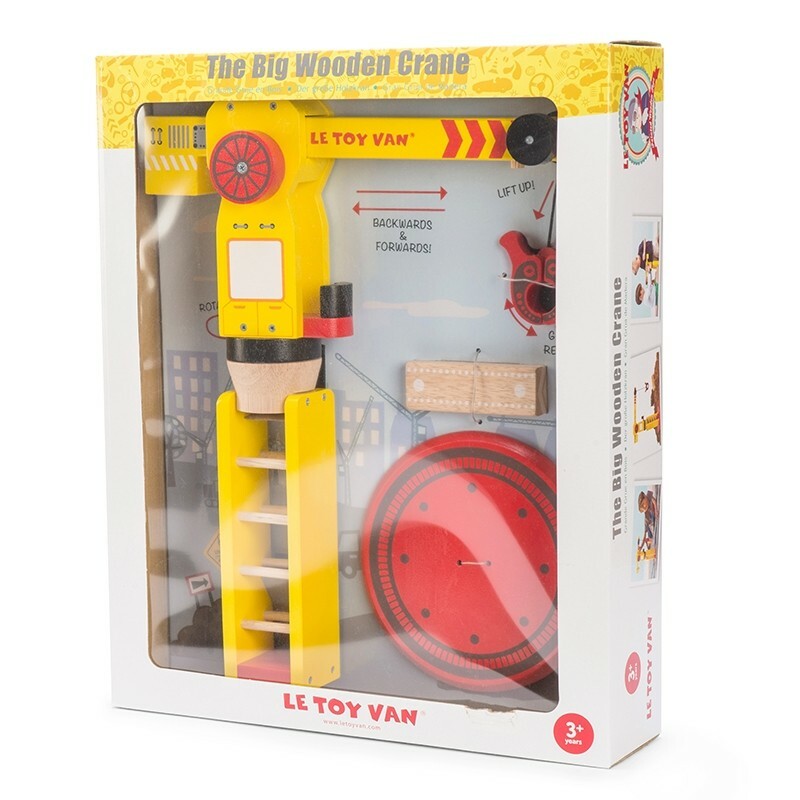 Scaled to Le Toy Van Construction Set., cars and garages.